Here is a simple way to resolve some your issue. Do you work onsite customer? Yes, we work onsite for our customer. You should make an appointment and we will come to offer our repair service at your home or business. How long does it take to replace a mobile phone screen? It depends on the type of device. Usually, it take one hour to complete. How long does it take to repair a mobile phone logic board (main board)? It depends on the type of device. Usually, it takes couple weeks to complete. How do you know your computer has a virus? Popup and redirection to different websites. Alerts for your to pay money credit card. Your computer is running very slowly than normal. Application running in background and Temporary files. Hard drive Bad sector or corrupted or fragmented hard drive. Virus,Spyware and Malware effect your computer. Software Driver & Hardware conflicts. Install new software on old operating system. Low RAM capacity or malfunctioning RAM. What does the repair estimate include? The repair price estimate includes both replacement parts and labor. Can Computer Onsite backup data on my iPhone/cellphone ? Computer Onsite will not be responsible for backup data on your iphone/cellphone repair. How long it take to repair computer/laptop? It depend Software problem same day service. Hardware problem same day service, if we have part otherwise next day. Can Computer Onsite technicians only repair computer or can they repair other electronic devices as well? At Computer Onsite shop,we repair Computer desktops,laptops,macbooks,imacs on a daily basis. In addition,we capable of handling all sorts of electronic repairs including Iphones,cellphone,smartphone,blackberry,tablets & gaming systems. iPad,iPod,xbox,playstation,wii,iPhones,smartphone,blackberry,samsung,Lg,HTC,tablets,desktops,laptops,macbooks,imacs,printer,Tv,monitor and so much more Repairs!!!! . When should a phone's battery be replaced? The typical cell phone battery begins to deteriorate after 400 charging cycles. The average user will reach this point after 1-2 years of regular usage. Why it better to repair your printer ? In a society fuelled by waste and pollution, we strive to play a role to help the environment by reducing the carbon foot print, reducing landfill, and reducing waste. We provide environmentally sensitive low-cost quality repairs for all types of printers that assists local business growth as the entire labour charge stays local. Our competitive rates will ensure the maximum savings for you, the customer. We are so confident in our repairs and provide 30 days warranty on all our printer repairs. Our repairs have no hidden costs such as setup and installation, or new supplies. 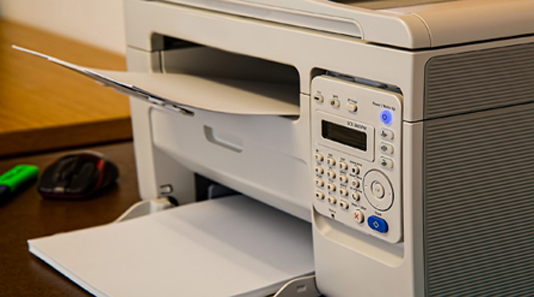 Our printer technicians have been trained to evaluate the market value of the diverse variety of printers in order to inform you if the repair cost is a reasonable investment. What should I do if I drop my phone in water? After you’ve removed your device from the liquid, dry the outside of the phone being careful to not press any buttons. If possible, remove the battery to decrease the likelihood of a short. Bring your liquid damaged item to Computer Onsite and our tech will gladly take over from there!!!. Hi I hope you are doing well. Is there any way that you are able to access my computer (It got hacked). I’m unable to do anything even when trying to access with the F8 key since I don’t have my windows XP Password (hacked). I hope to hear from you and thanks again.